First of all Hobbyking has changed the design – screen angle is a little lower and it gives extra space from the gimbal stick to the screen for pinchers. Evo PRO now has the lanyard hook installed between the gimbals instead of the switch. There is a momentary switch added, but they have removed the potentiometer dial and there is the power button now instead. The buzzer loudness was increased and they have added the haptic feedback to the gimbals (not sure what for?). Also stick calibration brought into the regular menu instead of the hidden service mode menu. Also range check mode has been added with RSSI display and reduced power mode. One of the most usefull improvements is increased models memory from 5 to 20 models. You can disable RF module when using the transmitter for simulators, something that was impossible with the previous version. The gimbals are the same, though they say the springs are different . The same two 3-way switches on the back of the transmitter. RF module is the same with the same AFHDS 2A protocol, even the same TGY-iA6C receiver is supplied with the transmitter. The firmware is the same with the minor changes. 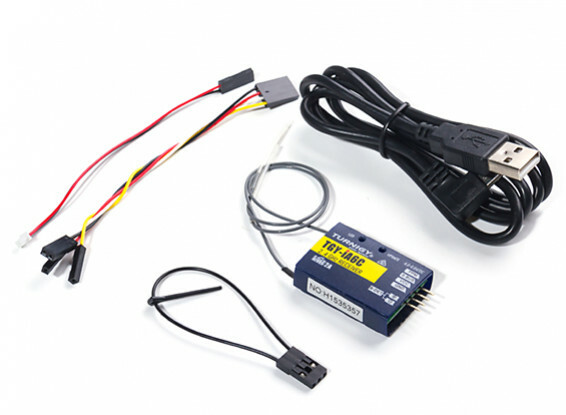 Transmitter can be connected to the simulator via USB interface in the same way as in the previous version. The downside (downgrade?) of this upgraded version is the absence of the protective cover that was supplied with the regular version of the Evolution. Rumors say, that protective cover will be available for purchase as extra. Now you decide if the Evolution PRO version is worth the double price as regular Evolution transmitter… You can tell me in the comments what you think abou this “Evolution”? 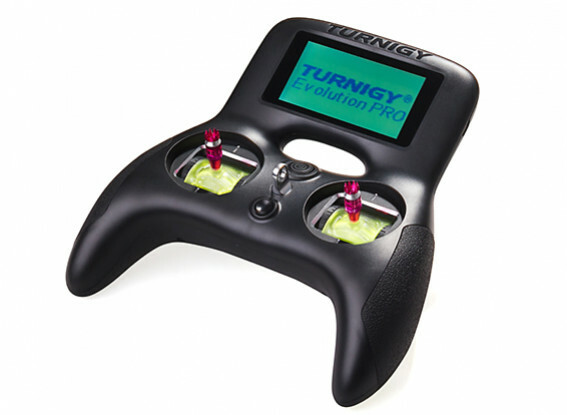 After the huge success of the Turnigy Evolution, the engineers at Turnigy listened to customer feedback, went back to the drawing board and came up with the exciting Turnigy Evolution PRO. As with the Evolution, the Evolution PRO is designed with the drone flier in mind and is still amazingly compact for easy backpack transportation. There are many new features and updates to make the Evolution PRO the best radio around. Starting with a repositioned on/off switch and a new lanyard attachment point for easier use. 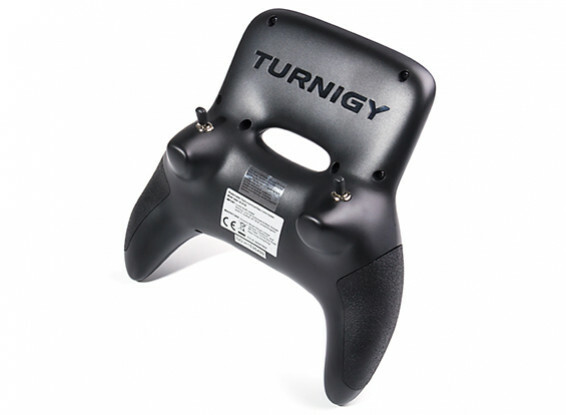 There are now stiffer springs to help the sticks and a repositioned screen so that people that are “pinchers” have better control of the sticks plus the user now has access to stick calibration. A momentary button has been added which is great to use as pre-arm on quads. For those that had trouble hearing the buzzer the sound has been made louder and there is haptic feedback. Now you can store twenty different models (instead of five) for easier swapping of models. Firmware has also been updated from the Evolution. 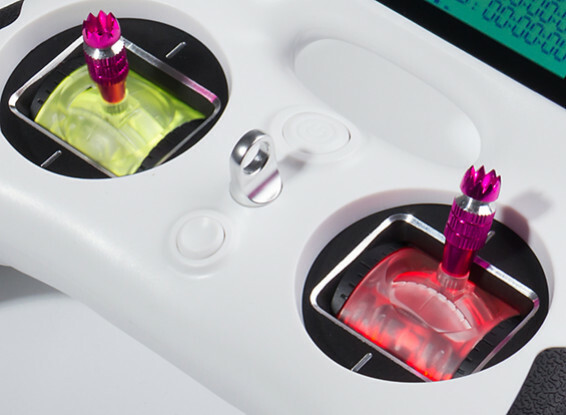 The ergonomically designed case makes for easy use of all controls. The switches are all positioned for comfort and the adjustable length sticks can be tailored to your own requirements. Speaking of sticks, the high quality, ball bearing gimbals are clear and have color changing, programmable LEDs that can change color with the use of the sticks. 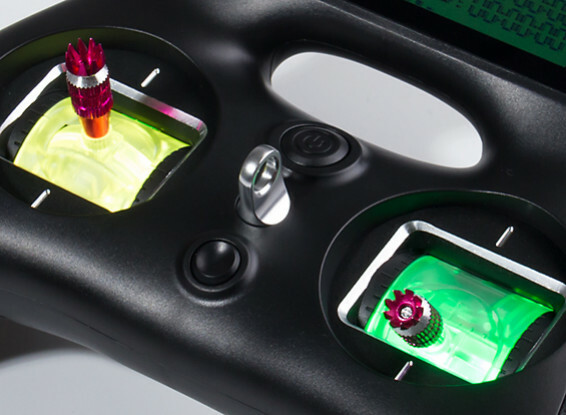 Two 3-position switches on the back can easily be set-up to change the flight modes. A large monochrome backlit LCD Touch screen makes it easy to program and change the settings in both daylight and night-time. The Evolution PRO uses the solid and reliable 8 channel 2.4GHz Automatic Frequency Hopping Digital System (AFHDS 2A) spread spectrum technology, making it compatible with the iA6, iA6B, iA6C, iA10B range of receivers. 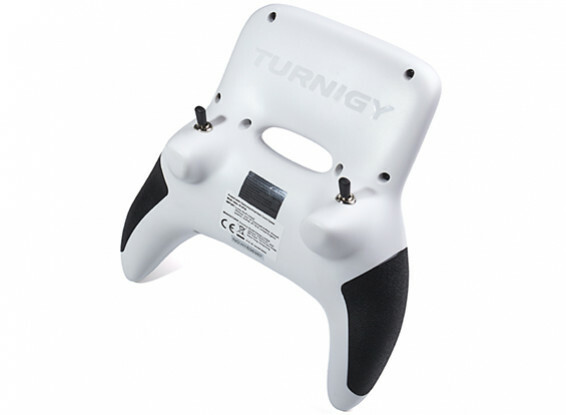 The system is supplied with the Turnigy TGY-iA6C Receiver for SBUS/IBUS and CPPM/PWM support. Twin omnidirectional high gain antennas are built into the outer case to provide an even more secure radio link and to protect them from damage. Each transmitter hops between 16 channels in order to reduce interference from other transmitters. 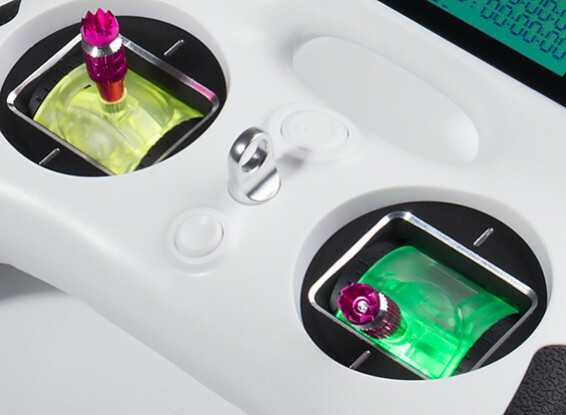 The transmitter and receiver have their own unique ID to prevent other RC systems from accidentally connecting to or interfering with the Evolution PRO. There is even a mini USB port for easy charging via a power bank (power pack) or phone charger / USB charger / PC. 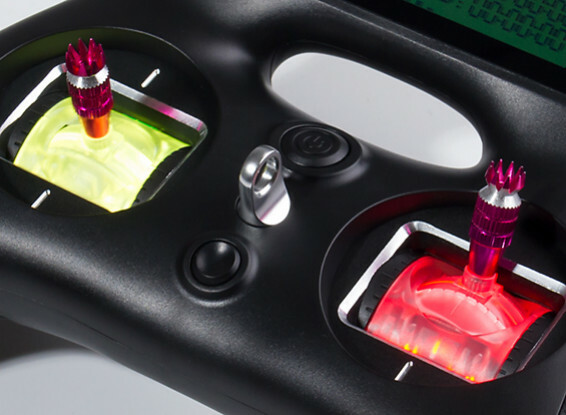 This can also be used for updates (via PC) or to use the Evolution PRO transmitter as a controller for your favorite RC simulator programs. Now with the ability to disable the RF signal while using simulator mode. The Evolution PRO comes in either Mode 1 and Mode 2 and is available in black or white for each mode.